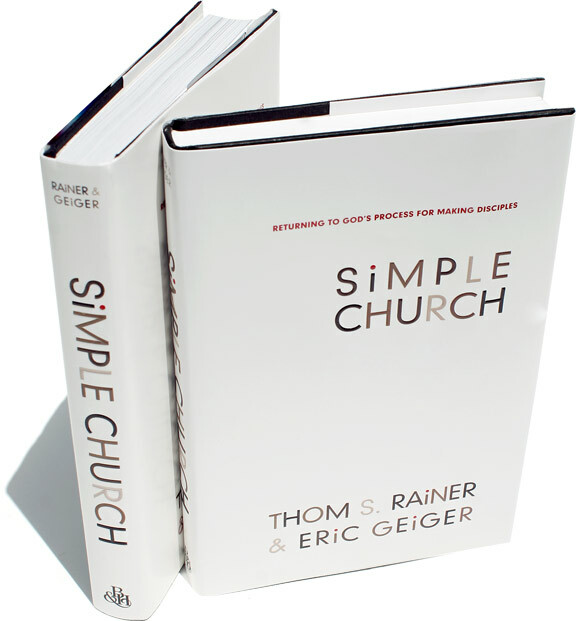 Simple Church defines a “simple church” as a congregation designed around a straightforward and strategic process that moves people through the stages of spiritual growth. That is what this book is about. How to design a church that is truly simple that makes it easy to move people through a discipleship process. Simplicity is the key to a successful organization. Simple Church contains stories of popular companies such as Google, Apple, Southwest Airlines, and Papa John’s that know this truth; simplicity works. Not only do these companies know this, but also growing, vibrant churches do to! Simple Church tells us about two churches. One is simple and one is complex. One would assume the complex churches would be the growing vibrant church, but that is not so. The simple church is the one that is actually growing and is vibrant. The complex church is struggling and not seeing growth. In Simple Church the writers give four things that are essential to a simple church. Those four things are clarity, movement, alignment, and focus. Instead of defining each of those and describing how they make up a “simple church” I will let you read the book and find out for yourself. One might be wondering if this “simple church” model actually works. The writers answer that question by providing three churches that are “simple” as examples that the simple church model actually does work. These three churches are Immanuel Baptist Church, Christ Fellowship, and Northpoint Community Church. These three churches are truly “simple churches” and are proof that a simple church model is both possible and effective. I really enjoyed this book and would recommend it to anyone in church leadership, especially pastors. In the last chapter, the writers gives a call for churches to “change or die.” Too many church are dying because they are complex, busy, and not simple. Simple churches are not dying. It may be hard, but we need ti simplify our churches so we can see more spiritual growth. Another great church ministry I just read is 9 Marks of a Healthy Church by Mark Dever. You can read my review of that book here. Next book on my list is Humility: True Greatness by C.J Mahaney. After I read it I will post a review here on my blog.